We are pleased to introduce you to Am/Can. Ch. White Pines Spirit Of Bentbrook, aka "Stealth". Stealth was born August 2, 2004. 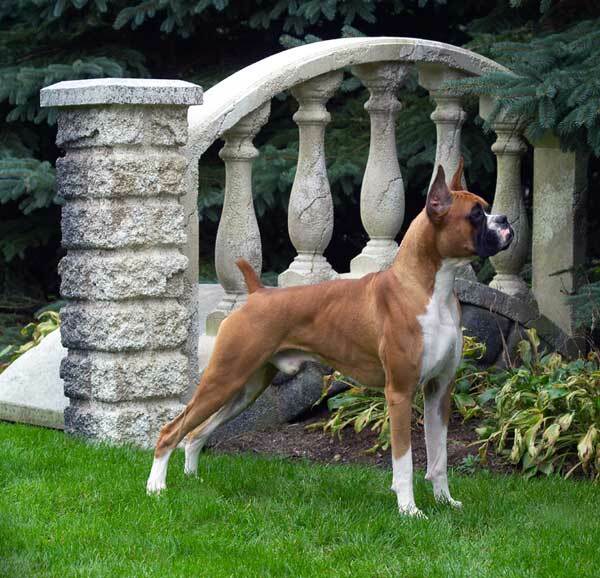 He is by CH Bentbrooks Image Of Highnoon, SOM and CH White Pines Brooke, DOM. The name Stealth? Well, he has a marking on his neck that is shaped like the Stealth Bomber and our son is stationed at the base that houses the plane. It just seemed natural. Stealth has a great personality, loves everyone and has that "presence" about him. When he walks in the ring, he makes you look at him. We're looking for some really great things from him. Stealth will continue living with us and will be put into our breeding program. Stealth just completed his Canadian championship in four consecutive shows. Thank you Medley, Margaret and Danielle for a great job showing Stealth and for all the love you gave him while he was with you. 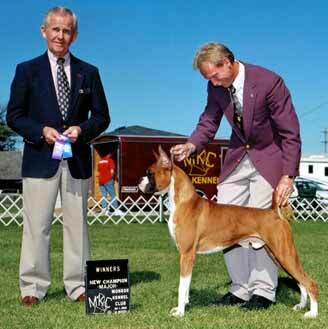 Stealth completed his American Championship on Oct. 1, 2005 under the handling of Jack Brown. Thank you Jack and Bridget for the care you took of Stealth while he was at camp with you. Stealth completed both championships before he was 14 months old. Echo/Doppler clear at Ohio State University. Want to see more pictures of Stealth along with his pedigree and an update on what's been happening in his life? Click on the button to the right.